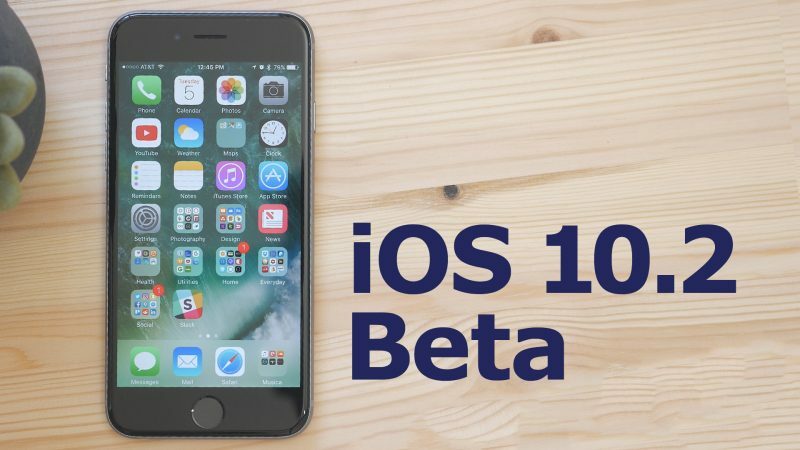 Apple today seeded the first beta of an upcoming iOS 10 update to developers, one week after releasing the iOS 10.1 update and more than a month after launching the iOS 10 operating system. As a major 10.x update, iOS 10.2 will likely bring bug fixes, performance improvements, and perhaps a few new features to iOS 10. Registered developers can download the new iOS 10.2 beta from the Apple Developer Center or over-the-air with the proper configuration profile installed. We don't yet know what features are included in iOS 10.2, but the prior update, iOS 10.1, introduced a new Portrait photography mode for the iPhone 7 Plus' dual-lens camera system. Should new features be discovered in today's update, we'll update this post. Emoji - Unicode 9 emoji are included in iOS 10.2. Some of the new emoji include clown face, drooling face, selfie, fox face, owl, shark, butterfly, avocado, pancakes, croissant, and more. 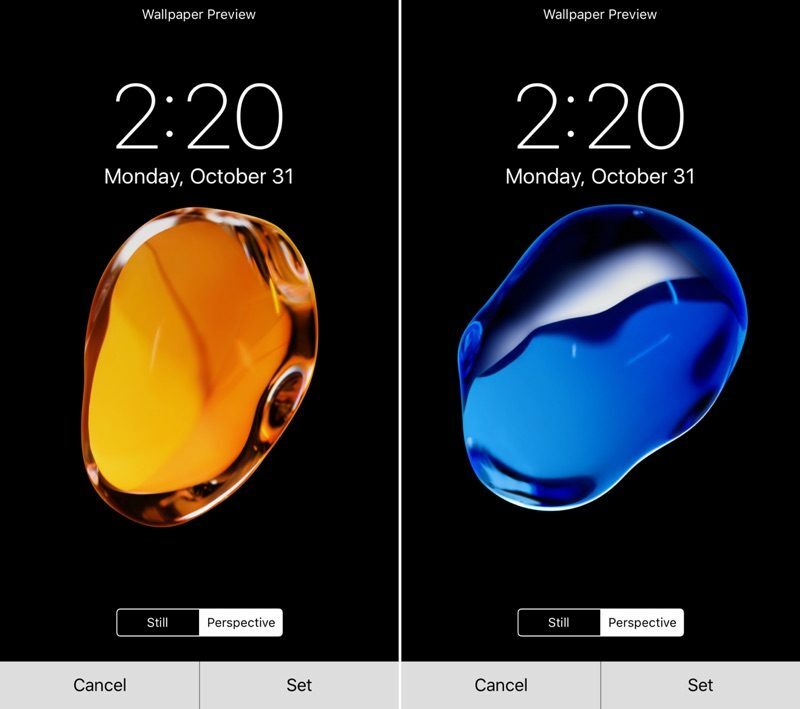 Wallpapers - There are new wallpapers in iOS 10.2, which use the same graphics that were shown off in iPhone 7 marketing materials. Camera settings - There's a new option for saving your last known camera settings. 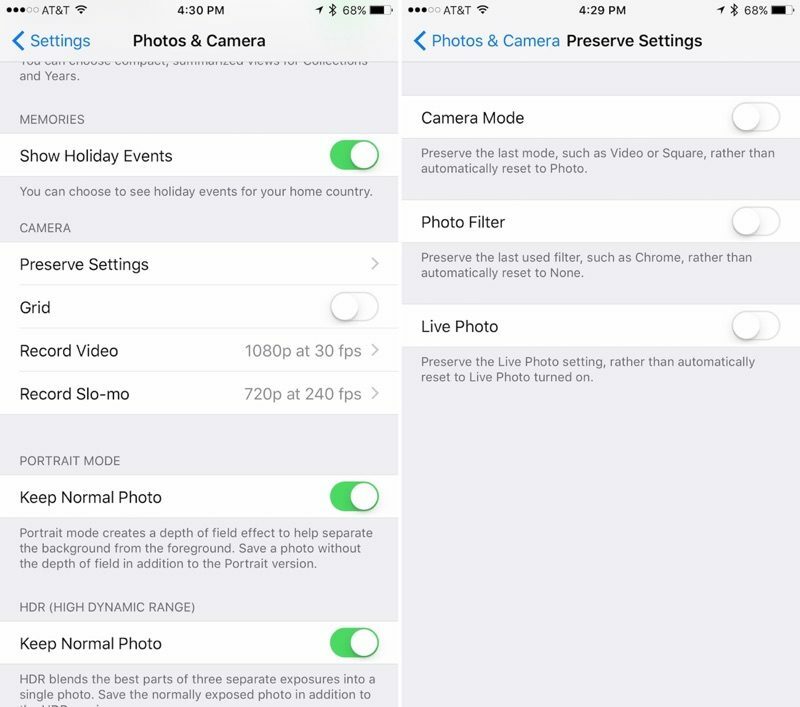 This will let you preserve the last Camera Mode, Photo Filter, or Live Photo setting. "Preserve Settings" is available in the Settings App under "Photos & Camera." Videos widget - There's a new widget available for the Videos app, accessible on the widgets panel by swiping to the right on the Home screen of an iPhone or iPad. The Videos widget displays movies and TV shows in the Videos app, and a tap will cause content to play automatically. Emergency contacts - There's a new feature that will automatically notify your emergency contacts when you use the Emergency SOS feature on iPhone or Apple Watch. A popup notification shows up when you open the Health app after installing iOS 10.2. Apple Music - There's a new option to sort playlists in Apple Music by type, title, and recently added. Android device users complain they don't get enough updates. iOS users complain they get too many updates. I am simply sick of all these updates. It's completely absurd and would be unnecessary if apple knew how write good and dependable code. But it's bug after bug after bug. The only beneficiary of this is this board as it gives all of you loads to moan and groan about. But for us regular users, it's a nightmare. Spending day after day updating all my devices and then discovering that a new bug was introduced that will require another update. If Steve were still alive, this wouldn't be happening. I'm going to buy a pc and the new pixel phone right now. I'm done with apple forever. I'm going to buy a pc and the new pixel phone right now. I'm done with apple forever. Well delete the beta profile then, If you don't have the beta profile you don't get that many updates and will have nothing to cry about. This far in and nobody has mentioned Dark Mode. You fellas are slipping. You've got to be kidding me. The animation is longer. The wallpaper actually zooms in on the 7Plus but it does not on the Air 2. Entirely DIFFERENT animation. The wallpaper does NOT zoom in on the Air 2. Yes, you're right. The animation isn't glitchy, they literally re-worked the animation to be exactly how it's being shown. Apple did this because they want the animation to start immediately on the first click, rather than waiting for a second click before returning home. 2. iPhone says to itself "Don't do anything yet! We don't know if the user is going to double click, so we don't know what action to take just yet! 3. After a second or so, the iPhone goes "False alarm! User just wanted to go home! Start the home animation!!" 4. The screen smoothly transforms into the size of its home screen icon. 2. iPhone says to itself "Start the animation! We'll deal with a second click as it comes!" 3. The wallpaper however, cannot move yet because the iPhone doesn't know when you'll do the second click. 4. If a second click is detected during the initial animation, the iPhone says "Wait! The user clicked again! Interrupt the current animation and show them the multitasking screen!" Because of the fact that the iPhone has to be prepared to show the multitasking screen, the way the app animates to the home screen is different. It starts off by shrinking the screen slowly, but keeping the same proportions of the app screen (16:9). Once it gets past the size of the multitasking window size, it starts to distort slightly and blend into it's icon on the home screen. However, since the zoom animation started off slow, it has to make up time by speeding up toward the end of the animation, but someone forgot to tell the wallpaper that, so it lags behind the rest of the animation. That's why the iPhone 7's animation looks off-putting. If they could just get the wallpaper to move at the same speed as the zoom animation, it wouldn't look so weird or delayed. Don't let the door hit you on the way out 1'st-world-problems whiner! And just wait until you experience the DELUGE of Windows updates all the freaking time! Playlists can be sorted by type, name or recently added. Albums by title or artists. Is the 5-star rating scale back in the music app??? It seems to be disabled by default, but can be turned on in Settings. Uh, wait a minute...who is forcing you to beta test these OS updates?